This post was written by Magdalena Tanev of the Publicize Newsroom. 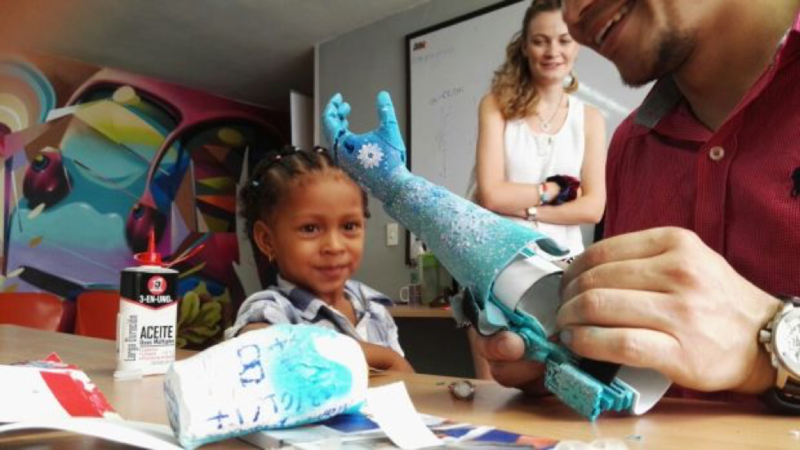 This month, Publicize discovered the work of the brilliant e-NABLE Medellin, a small not-for-profit that unlocks the power of 3D printing to provide free prosthetics to those in need in Colombia. 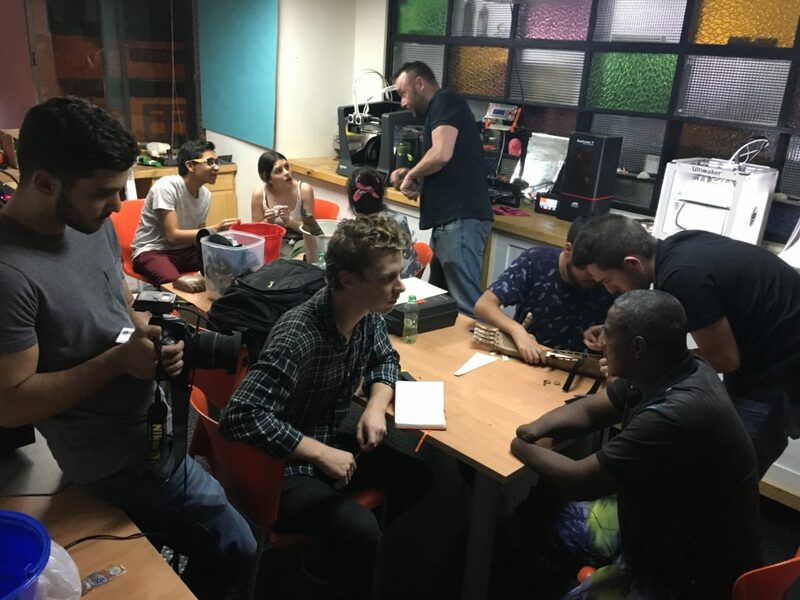 e-NABLE Medellin is doing vital work to help victims of the 52-year-long internal conflict and anyone else who needs a prosthetic, and in Colombia, that’s a lot. It remains the second most mine-affected country in the world, with over 11,400 people having been victims of landmines, of whom 1,124 are children. In fact, 3,600 people have suffered amputation due to the conflict, and 26% of ex-combatants have amputations. So far this year, e-NABLE has helped children as young as 5 years old born with defects, civilian victims of the conflict, and an ex-combatant that experienced a landmine accident that left him without both arms from the elbow down. In addition to prosthetic arms and hands, e-NABLE also creates other types of 3D-printed assistive devices, such as periodic table braille boards, a drumstick holder, and a key holder to help one of the recipients open his front door. Now, Publicize plans to collaborate with e-NABLE, to help the organization achieve its 2018 goal of providing 25 people with the prosthetics they need. This will be done with the much-appreciated help of Publicize clients 3DPrinterOS and Smart3D, who will donate 3D printers and software to the cause, and RallyUp, an online charity fundraising platform that will facilitate the crowdfunding campaign. Publicize plans to bring the four organizations together to raise enough funds and provide the equipment necessary to make sure that the remainder of e-NABLE’s waiting list get a prosthetic before Christmas of this year. This includes a Colombian social leader who has spent her whole life working to better her community, and more ex-combatants who want to reintegrate into society and contribute positively to their communities. 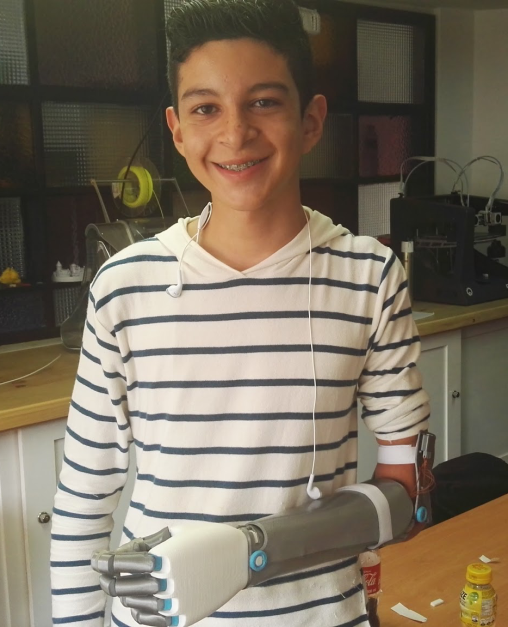 e-NABLE is also currently working on projects to develop a prosthetic leg and a robotic hand. Gaining the ability to 3D print a prosthetic leg, of which prototype designs are underway, would help countless more victims of the country’s landmines. The robotic hand would help a burns victim who is unable to bend his elbow, and thus can’t use a mechanical prosthetic due to scars. It works by detecting muscle twitches in the bicep and then sends signals to close its grip. The project will not only benefit e-NABLE and help the organization continue its vital work in Colombia, but also bring value to our generous clients that are helping to make this happen, and strengthen our relationships with them. If you would like to find out more about some of the clients we work with and how we’re helping them to achieve their goals, you can read our case studies here.